Coastal Jazz Association (CJA) presents the Duke Ellington Tribute Concert featuring the Savannah Jazz Orchestra and special guest Melvin Jones, Sunday, April 15th at the The Harbor Ballroom, downstairs at The Westin Savannah Harbor Golf Resort & Spa from 5-7p.m. This is the biggest monthly concert of the year. Purchase tickets today, seating is limited. Edward Kennedy (“Duke”) Ellington was recognized in his lifetime as one of the greatest jazz composers and performers. 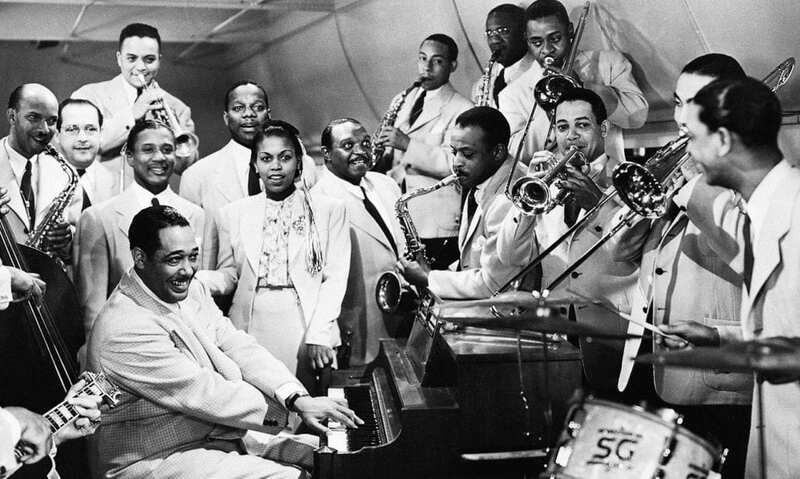 A genius for instrumental combinations, improvisation, and jazz arranging brought the world the unique “Ellington” sound that found consummate expression in works like Mood Indigo, Sophisticated Lady, and the symphonic suites Black, Brown, and Beige, and Harlem. Beginning keyboard studies at the age of seven, Ellington’s earliest influences were the ragtime pianists. He taught himself harmony at the piano and at 17, made his professional debut. Encouraged by Fats Waller, he moved to New York in 1923 and, during the formative Cotton Club years, experimented with and developed the style that would quickly bring him worldwide success and recognition. Ellington would be among the first to focus on musical form and com position in jazz using ternary forms and “call-and-response” techniques in works like Concerto for Cootie (known in its familiar vocal version as Do Nothin’ till You Hear from Me) and Cotton Tail and classic symphonic devices in his orchestral suites. In this respect, he would influence the likes of Monk, Mingus, and Evans. Melvin Jones possesses a stylistic philosophy, an almost hypnotic sound, and technical facility which constantly amazes audiences and peers alike. Whether he’s playing lead trumpet, screaming on top of a professional horn section, performing serious classical repertoire, or stepping out in front of a jazz quartet and leading a jam session, this young man proves to be quite capable of capturing the attention of audiences world-wide. Currently, Melvin maintains a rigorous performance schedule while continuing to serve various institutions and academic organizations in different capacities. As an Artist in Residence for the “Mentoring Through the Arts” Program presented by the United Jazz Foundation and the U.S. Virgin Islands Department of Education, Jones teaches throughout the school year in the public school system as well as with the foundation’s program participants.